"Not only was our entry into the World War a calamity of the first magnitude for Europe and contemporary civilization, it was also a serious disaster for the United States." 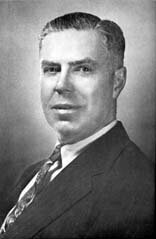 The American historian and sociologist Harry Elmer Barnes (PICTURE RIGHT) (1889-1968) is generally regarded as the founding father of historical revisionism. Professor Barnes authored scores of books and hundreds of articles, which take up forty-seven pages of listings in his biography. Nowadays he is regarded as an controversial thinker. He became convinced by the early publication of previously secret documents and memoirs that great injustice had been done to Germany by the Versailles treaty. Later, after the Second World War, Barnes claimed that Roosevelt entered that war through a backdoor policy which involved provoking Japan. Barnes was no friend of Churchill, but they shared some thoughts on how the world should be run. It was generally believed in 1917 and thereafter that the intervention of the United States in the World War on the side of the Allies saved human civilization. It was lauded as one of the most noble and fortunate episodes in the history of man on the planet. Today, there is a great deal of skepticism about any such judgment. There is a tendency now to see in American intervention one of the major calamities in modern historya calamity for the Allies and the United States as well as for the Central Powers. But there is hardly a remote possibility that Germany would have won the war, even if the United States had not come in on the side of the Allies. Germany was eager to negotiate a fair peace arrangement at the time when Roy Howard's "knock-out victory" interview with British war-secretary Lloyd George put an end to all prospect of successful negotiations. We now know that the Lloyd George outburst was directly caused by his assurance that the United States was surely coming in on the side of the Allies. Had Wilson remained strictly neutral, there is little doubt that sincere peace negotiations would have been actively carried on by the summer of 1916. Had we remained resolutely neutral from the beginning, the negotiated peace would probably have saved the world from the last two terrible years of war. Whenever it came, it would have rendered unnecessary the brutal blockade of Germany for months after the World War, a blockade which starved to death hundreds of thousands of German women and children. This blockade was the one great authentic atrocity of the World War period. In all probability, the neutrality of the United States would also have made impossible the rise of Mussolini and Hitlerproducts of post-war disintegration and the coming of a second world war. Click here to read the complete text of Barnes' The World War of 1914-1918. Click here to read Winston Churchill's words on the same matter. Click here to read Barbara Tuchman's essay on how America entered the Great War. 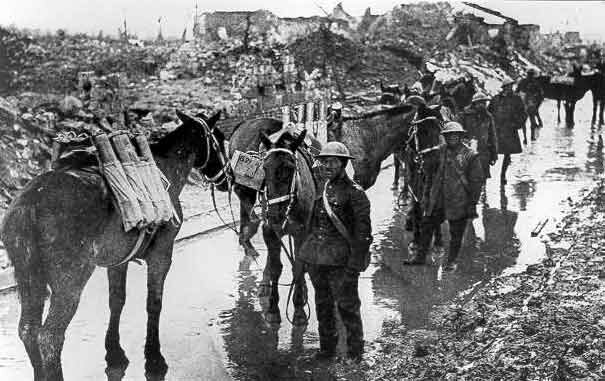 Click here for a picture slide show of the American Expeditionary Force in Europe in the Great War.